The Departments of Defense and Labor offer the Transition Assistance Program (TAP) to all military service members transitioning out of the U.S. armed forces and their spouses. Resources are available at no cost and include job skills assessment, job placement counseling, resume writing, employment networking workshops, and financial planning assistance. Learn more. The Army, Air Force, Navy, Marines and Coast Guard each provide a transition program designed to help their own members and spouses prepare for civilian life. Army: Soldier For Life – Transition Assistance Program centers are found at many Army installations, whether CONUS or OCONUS. Get information about available resources here. Air Force: Contact your local Airman & Family Readiness Center to schedule pre-separation counseling and get detailed information about other transition services. Navy: Transition Goals, Plans, Success (TGPS) provides resources and services to ensure Sailors are prepared to transition from military to civilian life. Marines: Learn more about the Marine Corps comprehensive Transition Readiness Program here. Coast Guard: The Coast Guard Office of Work-Life provides transition assistance starting with pre-separation counseling. Depending on your specific situation, additional resources such as these may help pave the way to a new civilian career for you. 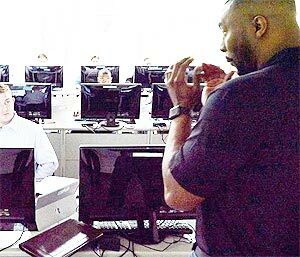 MSSA provides transitioners and veterans with the highly marketable skills required to work in today’s technology industry. It offers 18 weeks of training for high-demand careers in cloud development, cloud administration, cybersecurity administration, and database and business intelligence administration. Graduates gain an interview for a full-time job at Microsoft or one of its hiring partners. For each career path, Microsoft provides free Microsoft Virtual Academy courses to help you prepare for required MTA certification exams. Learn more. The Manufacturing Skill Standards Council offers two nationally recognized credentials free of charge. The Certified Logistics Associate and Certified Logistics Technician credentials can be earned by enlisted 92A automated logistical specialists and 92Y unit supply specialists, as well as warrant officer 920A supply systems technicians, and 920B property accounting technicians. Learn more. Syracuse University’s O2O-VCTP provides civilian career training, professional certifications and job placement support to transitioning service members, members of the selected reserves, veterans, and military spouses. O2O-VCTP partners with companies committed to training and hiring military and their spouses earlier in the transition process. If you aren’t located near an O2O-VCTP on-base installation, distance-learning opportunities are available. No cost to participants. Learn more. University of Kansas offers an online Military Transition Certificate providing resources, training and business connections for transitioning service members and spouses. The Certificate is designed for U. S. military within their last 18 months of service preparing to enter the civilian workforce. Current and former members of the U.S. military, National Guard, and Reserves are eligible. The certificate is offered online for academic credit. In-state tuition applies with financial aid available. Learn more. HOH is a U.S. Chamber of Commerce Foundation program launched in 2011. It’s a nationwide initiative to help veterans, transitioning service members, and military spouses find employment after leaving the military. And, remember, USBA’s website offers a military-focused job site as well as white papers discussing the job seeking challenges that face those transitioning out of the military. While you are there, check out USBA’s life insurance options to replace your SGLI which will expire 120 days after you leave the service.